The very essence of Robert Louis Stevenson's dark psychological horror story is brought wonderfully to the live theatre in this new stage adaptation of the writer's original novel. 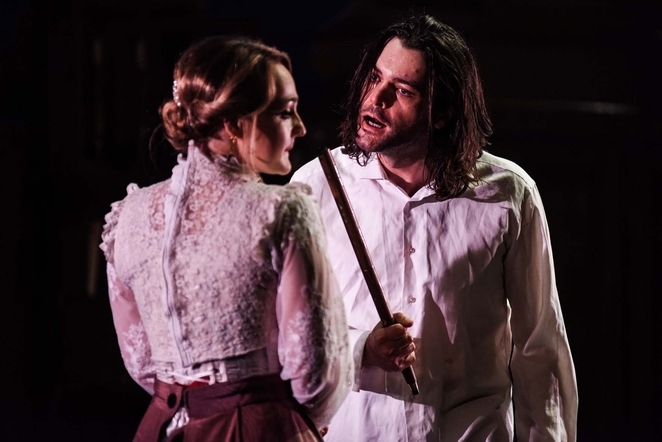 With a cast of just four, albeit very talented, actors, Blackeyed Theatre are able to get to the very core of the struggle between good and evil that is encapsulated in the tragic guise of the good Dr Henry Jekyll and the brutal alter ego, Edward Hyde, that he inadvertently creates. 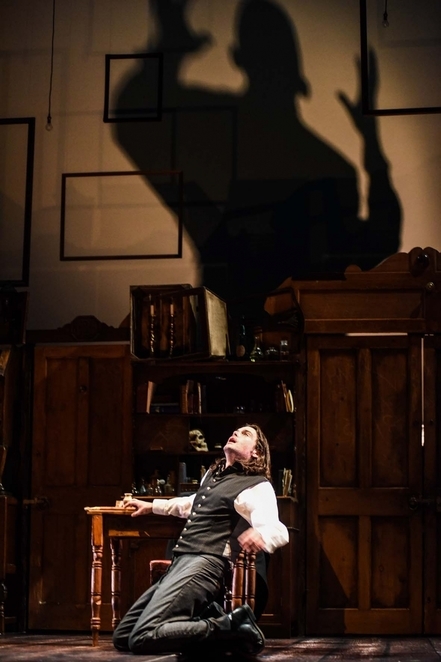 The Strange Case of Dr Jekyll and Mr Hyde, while clearly based on Stevenson's original book, has been superbly adapted for the stage by Nick Lane, who concentrates almost as much on the relationship between Dr Jekyll and music hall singer Eleanor O'Donnell - who marries his best friend - as he does Jekyll's elusive search for the scientific breakthrough that he hopes will enable him to fully understand the human mind and all its flaws. Blackeyed Theatre's splendid production, which is also directed by Mr Lane, certainly loses nothing of the dark foreboding and violent terror of the original story or any of the film or television adaptations that preceded it. 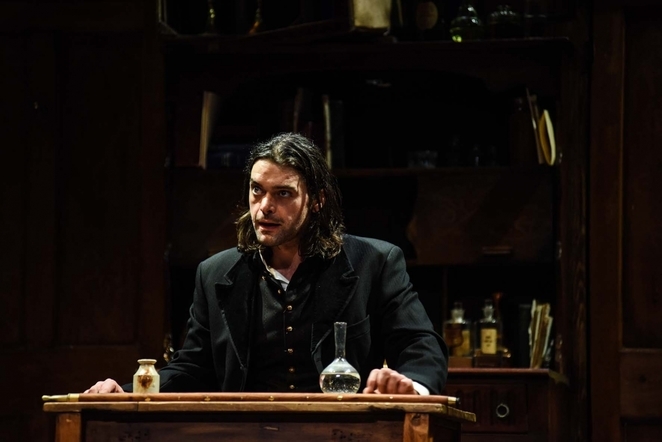 The Strange Case of Dr Jekyll and Mr Hyde, which is being performed at the Lichfield Garrick theatre on November 13 and 14, opens at a period, in 1895 to be precise, when Edward Hyde has already been unleashed by Dr Jekyll's decision to experiment on himself. Jekyll feels he is close to the brand new world of medical science that he describes as 'neurochemistry'. But when his good friend and colleague, Dr Lanyon, threatens to expose the unethical nature of Jekyll's work, he is forced to speed up his research and experiment on himself, whereupon things go disastrously wrong and the brutal Mr Hyde, with no conscience or sense of right and wrong to constrain him, is suddenly unleashed. The story then goes back 11 years to the time of Dr Jekyll's continuing obsessive research. The excellent set convincingly conveys the fog-bound streets of 19th century London and the various locations, in particular, Dr Jekyll's home and laboratory. 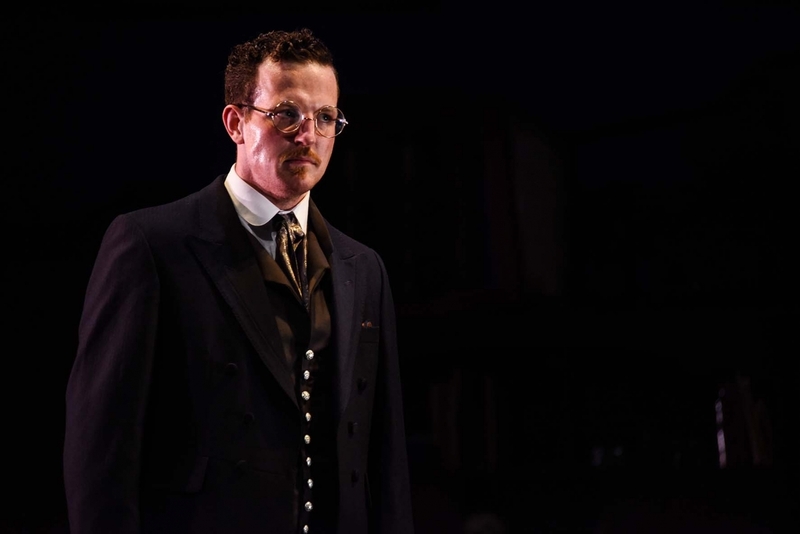 The contrasting roles of Jekyll and Mr Hyde are played equally outstandingly by Jack Bannell, whose acting talents mean he is well able to transform from good doctor to murderous brute, and back again, without any change of costume or use of facial make-up. And those changes become ever more frequent as Mr Hyde grows ever stronger while, in turn, Jekyll struggles to control the beast within. Opposite both Jekyll and Hyde is the excellent Paige Round, who gives an excellent performance as Eleanor, who gradually falls in love with Dr Jekyll. She also appears seamlessly in a number of other guises, while the same accolades are also due to Ashley Sean-Cook, who mainly features as Dr Lanyon, and Zach Lee, whose main role is that of the lawyer, Gabriel Utterson, who tries to unravel the mystery of Edward Hyde and the hold he seemingly has on his client, Dr Jekyll. The Strange Case of Dr Jekyll and Mr Hyde continues at the Lichfield Garrick theatre on November 14. Tickets priced £18 for adults and £14.50 for concessions and students are available online at www.lichfieldgarrick.com or by calling the box office on 01543 412121.